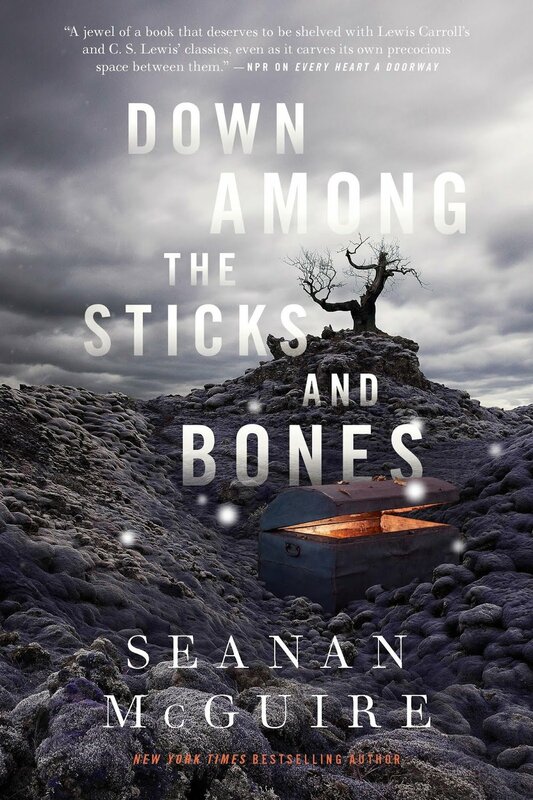 Seanan McGuire's ABSOLUTELY STELLAR Down Among the Sticks and Bones is a mere $2.99 today, but it is worth SO MUCH MORE THAN THAT. I read all three of the Wayward Children books in one weekend, was bereft when I ran out, and LITERALLY CRIED FROM HAPPINESS when I found out that there was a fourth one on the way. I wholeheartedly love and recommend them all—they're beautiful and dark and thoughtful and do amazingly smart and empathetic work with portal fantasy stories and the idea of identity and home and need and friendship and family and AHHHHHHH. Down Among the Sticks and Bones—it's a sister story, and I'm always here for sister stories—is easily my favorite. While it was the second published, it's chronologically the first book in the series.